Smarty Young Pros visited the NRS Ranch February 26 to March 1 for a camp designed to help team members improve their roping skills. 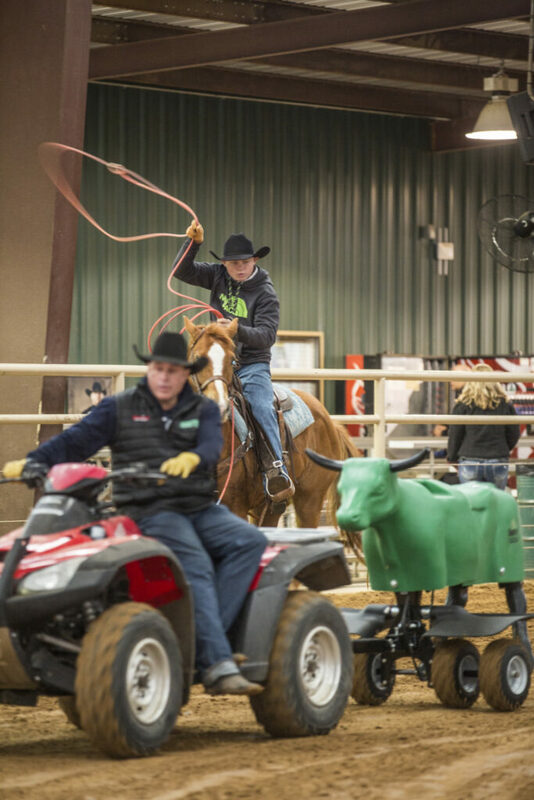 The Smarty Young Pro program is a one-year long, faith-based mentorship for youth ropers. Smarty camps consist of devotionals, guest speakers and of course, time in the arena to hone their roping skills. Being a part of the Smarty Young Pro program provides members with opportunities for scholarships and networking, and sometimes even Smarty products. Guest speakers and professional ropers keynote and lead discussions with the group of Young Pros twice a day during the camp to instill the Christian values the Smarty brand stands for. 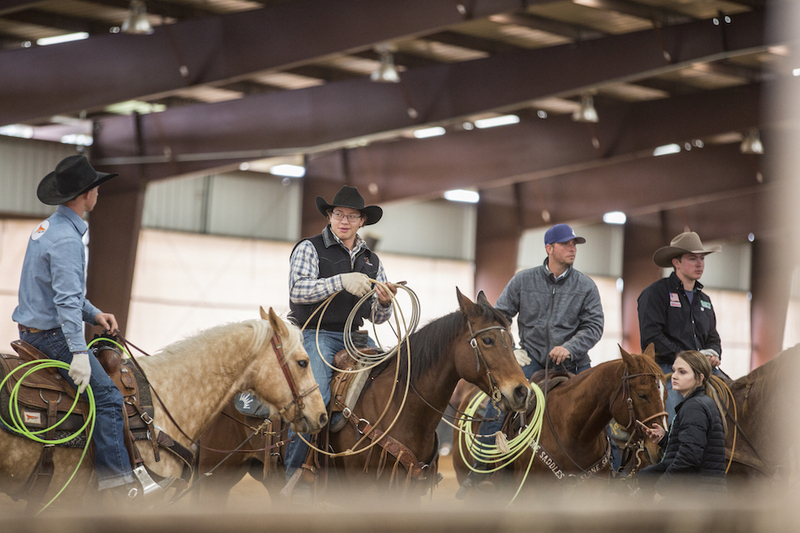 During the camp at NRS, professional team roper and pastor Trey Johnson lead devotionals and spent time in the arena during practice runs. Each day at the camp starts off with breakfast followed by guest speakers and instructional time before practicing runs in the roping pen. “Speakers are brought in to mentor and provide insights to our children to positively impact their lives,” said Angelia Berry, parent of Young Smarty Pro. Angelia’s son, Bryson, is 14 years old and has been roping since he was three. Bryson and his family traveled from Battiest, Oklahoma to attend the 4-day Smarty camp. The 78 Smarty Young Pros are all from various parts of the country. This year alone, there were 477 youth applications from all over the U.S. Among the Smarty Young Pros is Blake Walker, a senior at Chase High School in Forest City, North Carolina. To check out upcoming events that are happening at the NRS Event Center, check out our calendar at https://nrsevents.com/calendar/.